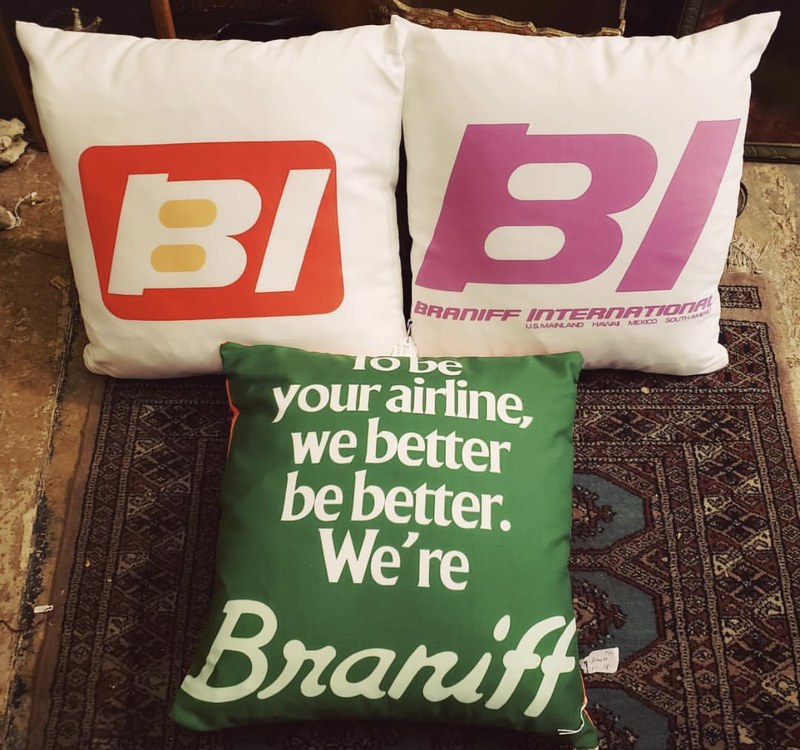 Three vintage Braniff airline pillows! $18 each. This entry was posted in Advertising, Decorative and tagged Braniff, Braniffairlines, dallasadvertising, dallasconsignment, Dallasvintage, dollypython, dollypythonvintage, vintagedallas by Gretchen. Bookmark the permalink.